Gronwen Wharf- is the current head of allowed navigation from the main waterway network. Passage through the locks is from 12.00 mid-day until 2.00pm only. Tel. 0303 040 4040 during normal office hours from Monday to Friday. Click Here to go to the CRT site for further information. ANGLING on the Montgomery Canal. Click for Information. be launched from the ramp at Welshpool Wharf. gives you the right to paddle canoes on the Canal & River Trust's waterways. or :- online from their boat licencing pages. CYCLING . No permit is required for tow-path cycling. Just remember to consider other users. “Share the Space, Drop your Pace”. WALKING . A wonderfull way to relax and enjoy the canal. 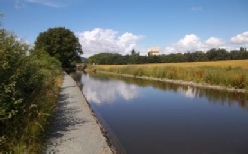 Click to check the Canal and Rivers Trust Web-site. Here are 4 Arddleen Circular Walks. To download in pdf format. GUIDED WALK. Newtown and Llanllwchaiarn. Click here for Leaflet. FOR VISITORS. Hotels, Pubs, B & B’s and Touring Caravan sites along the canal corridor. Click here for Information with links where available. ACCESS INFORMATION for WHEELCHAIRS, PRAMS and PUSH CHAIRS is available from the “Friends” pages. MWRT “FRIENDS” Information. 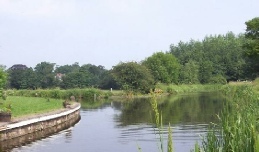 Have two boats based on the canal at Welshpool. The Trust offer free trips for groups of disabled and elderly people. The boats can be booked for periods of 2-6 hours. Contact for booking is Jenny Maddox Tel 01938 554810. Donations would be appreciated. Website. 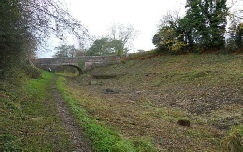 BOOKS on The Montgomery Canal and its restoration. Click for details. “MWRT” Montgomery Waterway Restoration Trust. I.W.A. Shrewsbury and North Wales Branch. Chairman:- Michael Haig. Tel:- 07801 415573. Secretary:- Dawn Aylwin. Tel:- 01691 830403. “Wyndcliff” Pen-Y-Gareg Lane, Pant, Oswestry, SY10 8JS.